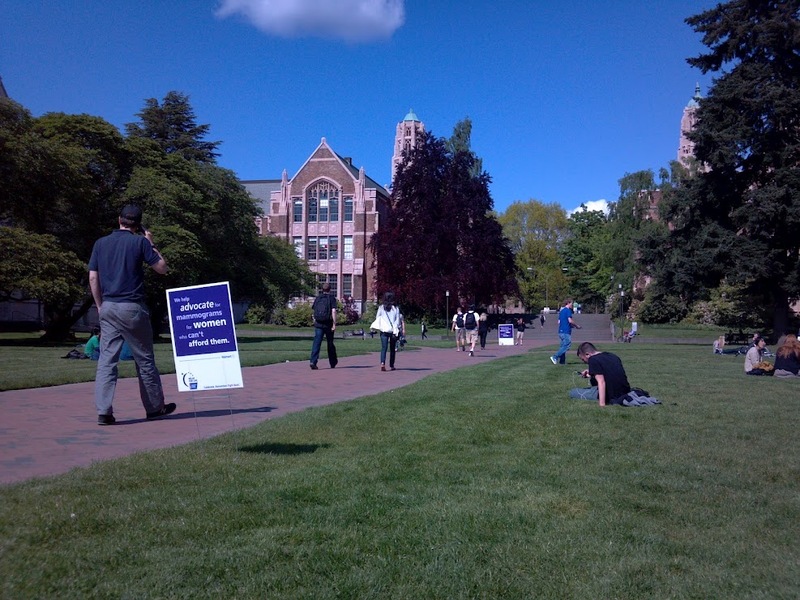 There’s always someone putting posters, flags, signs or something along the walkways in the Quad. I’m sure I’m not alone in having trained myself to ignore most of what goes up out there. However, today’s display caught my attention. It was a collection of staked posters sharing facts about various common cancers and encouraging readers to get screened (or donate to Relay for Life). I was originally caught because they had boards about colon cancer; my father happens to be an eminent colon and rectal surgeon and I have spent many years running the front desk of his surgical clinic. 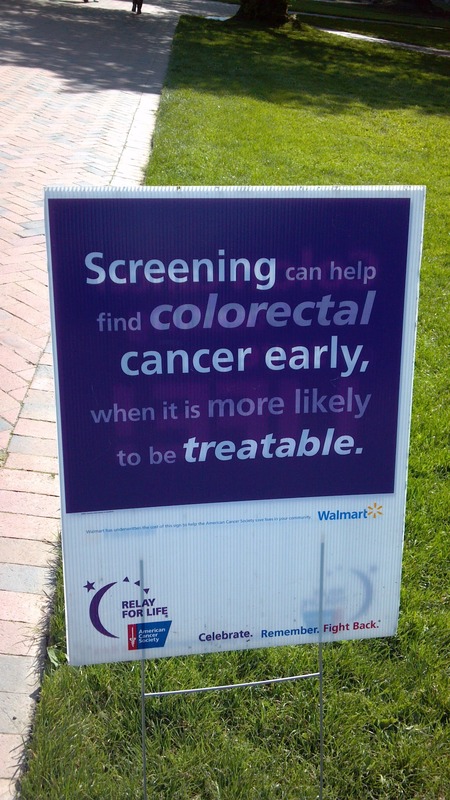 So I know a thing or two about colon cancer. More than the average English-BA-possessing communications grad student at any rate. Needless to say, colon cancer is not a common topic of conversation. Less so, at least, than breast cancer or skin cancer. Upon closer inspection, several of these signs had calls to action; find out about risk factors, call this number; visit our website for prevention tips, etc. Yet, none of them had any interaction points. No QRs, no NFC. Nada.